For the last 15 years black women in large numbers have stopped relaxing their hair. We have decided to embrace our natural curls. Many have also given up using cheap products, that contain bad ingredients. Grease is one of those ingredients most naturals stopped using. 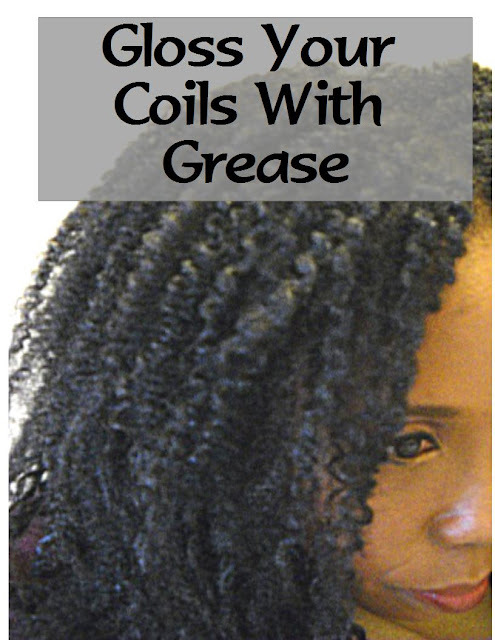 Petroleum has become a taboo ingredient on most natural forums and hair sites. It is commonly believed that petroleum clogs the hair follicles. Thus greatly making your hair grow slow. This is not true. SIGN UP TO DOUBLE YOUR HAIR GROWTH! 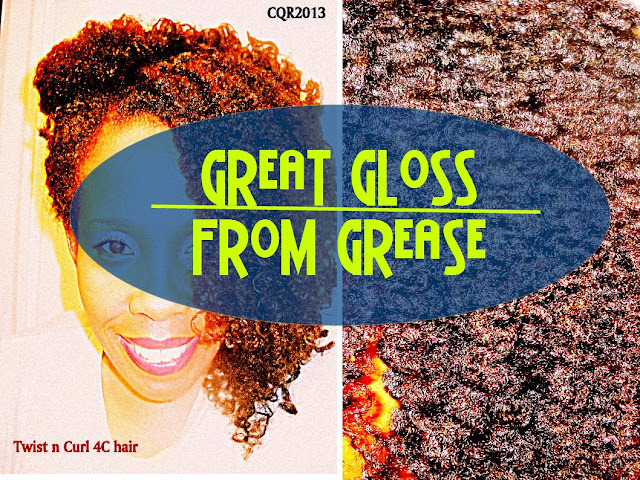 Despite grease being taboo by most naturals, there is still one grease that remains popular. You guessed it! That old Blue Magic! This grease is an oldie, but goody for some. 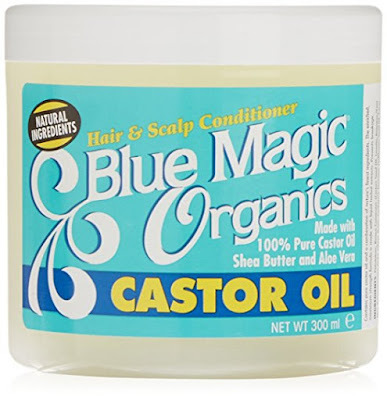 On youtube you will find dozens of naturals, testifying about how much they love blue magic hair grease. 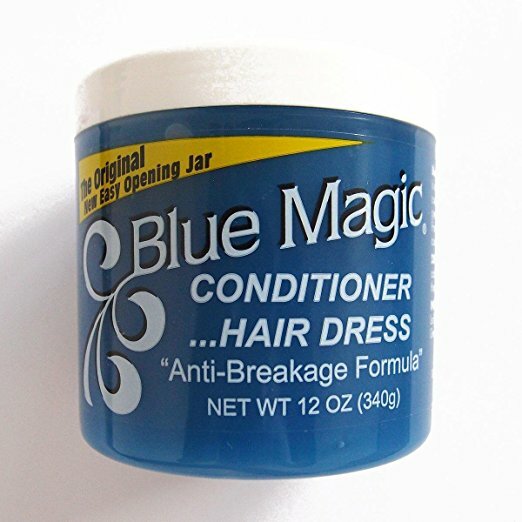 They say, that blue magic gives them the best twist outs ever. Water plus blue magic makes their twist outs pop! 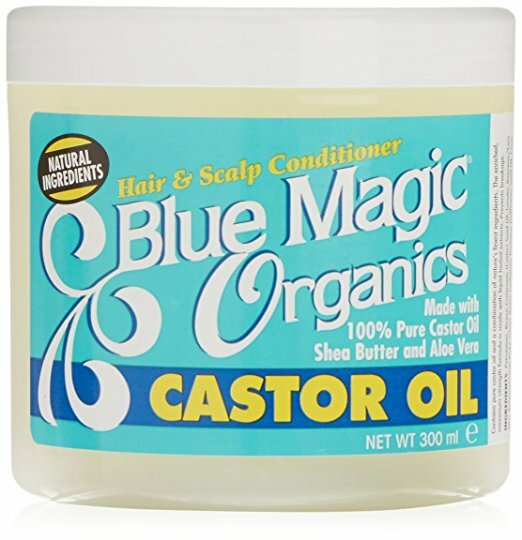 SHOULD YOU USE BLUE MAGIC HAIR GREASE? If you are satisfied with your styling product, I would say, no. But if you have tried several good styling products, for your hair, and you are still not satisfied, this is a good option to try. Petroleum does not clog your hair follicles. The molecular structure is not big enough to clog your hair follicles, nor prevent moisture from getting into your hair. Apply some Shea butter to freshly washed and conditioned hair. Apply the grease on top of the Shea butter, then create your twists. This should be done on wet hair. Let hair set until dry. You should noticed great definition, more elongation and shine. Petrolatum, Cocos Nucifera (Coconut) Oil, Lanolin, Butyrospermum Parkii (Shea Butter), Buxus Chinensis (Jojoba) Seed Oil, Camellia Sinensis Leaves (Japanese Green Tea), Tocopheryl Acetate, Apocynum Cannabinum Root Extract, Carthamus Tinctorius (Safflower) Seed Oil, Propylene Glycol, Aloe Barbadensis Leaf Extract, Eugenia Caryophyllus (Clove) Flower Extract, Cocos Nucifera (Coconut) Extract, Echinacea Angustifolia Extract, Trigonella Foenum-Graecum Seed Extract, Cola Acuminata Seed Extract, Lawsonia Inermis (Henna) Extract, Fragrance. I would not apply it to the scalp, although some swear by it on the scalp. I say stick with more natural oils on the scalp. The Blue Magic grease has several not so great ingredients. The unnatural fragrance, green 6 and yellow 11, just to name a few. Those are the reasons I would not use it on my scalp. I think this product is okay for the hair, when used sparingly. Once you set your twist out or style, you do not reapply the blue magic for at least 3 days. Doing so will help prevent build up from the grease. Although blue magic grease is a popular grease, due to its large size and cheap cost. 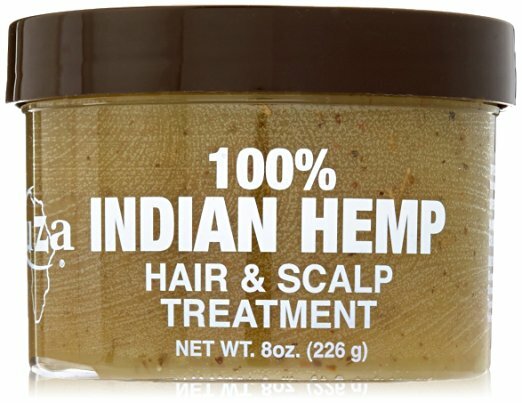 My favorite grease is Indian Hemp by Kuza. I use it when I straighten my hair. It is a thick grease filled with herbs and good ingredients. 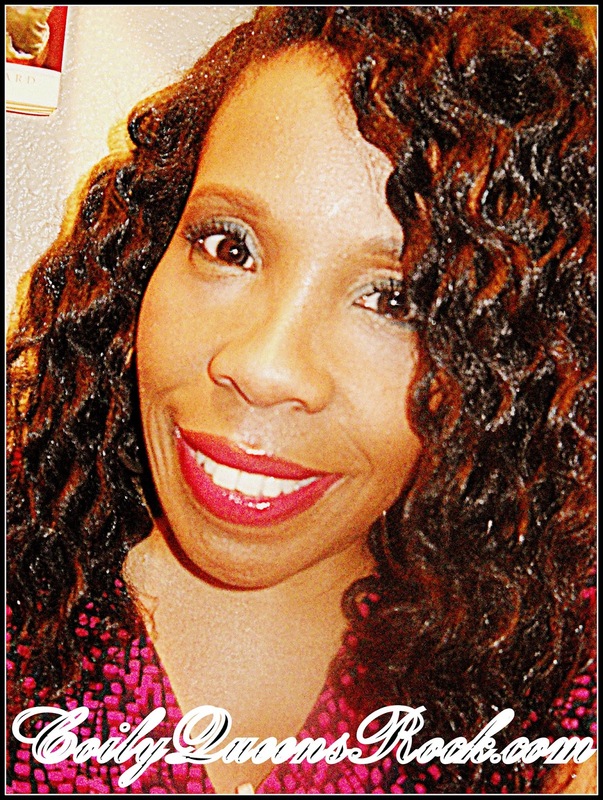 It is the only product which helps to keep my curls when I do rollersets or flat irons. This is a flat iron with curls set bantu knot style. I used the Kuza Indian Hemp grease. It gives me amazing sheen, hold and keeps my curls from frizzing. Black owned product you can find at CVS, Walmart, Target and most Beauty supply stores. Great for shin and sealing in moisture.